Natural surroundings are not only healthy for the body, but also challenging for the mind and soothing for the soul. We all strive to make time for a prolonged outing with friends or a necessary walk along a riverbank, but then there are solutions for bringing pieces of nature inside. 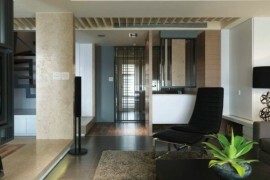 Interior gardens help extend the beneficial influence of nature inside, natural materials help create a soothing atmosphere or you can use small stones and pebbles to fabricate the desired natural feeling. The bathroom is one of the best spaces to display stones and a contemporary bathroom design can include pebbles and stones in many variations. 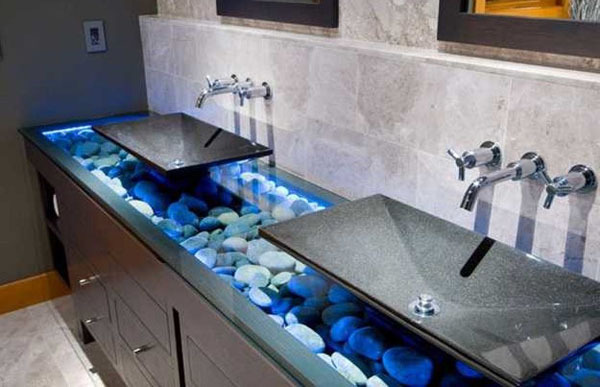 Take as example these stone pebbles showcased behind a glass top under the bathroom sink – they add a deep, natural dimension to the bathroom and the fact that they are bathed in a blue glow constructs a glamorous effect. 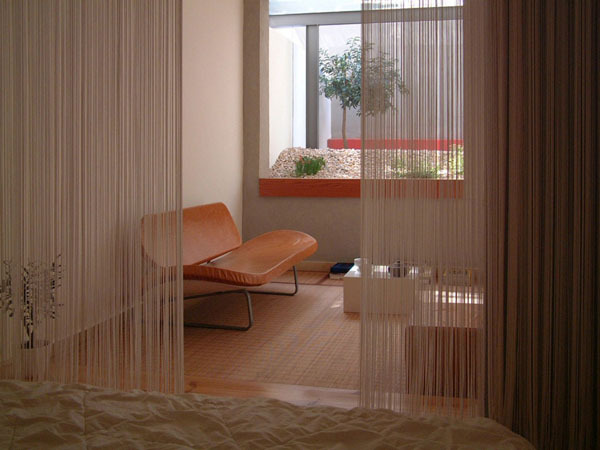 Speaking of interior gardens, this next example from Buenos Aires-based proves that simplicity is key when creating one – all the peace and quiet of the outdoors, alongside customized soothing scapes, create a calm environment in the middle of your home. 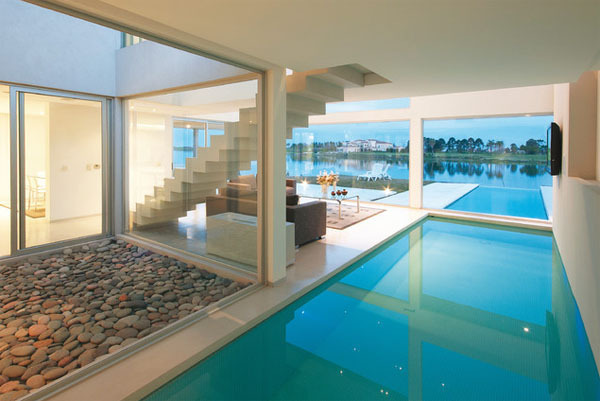 Natural colors displayed by stones, each with their unique texture and perfection, compose a water-inspired space separated by glass walls from the minimalist swimming pool. Placing your bathtub on a stone rug and carefully delineating the bathing space from the rest of the bathroom seems like a refreshing solutions to boring tiles. In the Yorba Linda Residence by California-based , the bathroom space is inspired by the Japanese “roten-buro” (outdoor bath). Colors, textures and materials were used to create the feeling of an outdoor bathroom with all the comfort brought by modern design and technologies. Stunning bathtubs are meant to become part of a larger picture – the surrounding details must create a world of comfort, calmness and beauty. 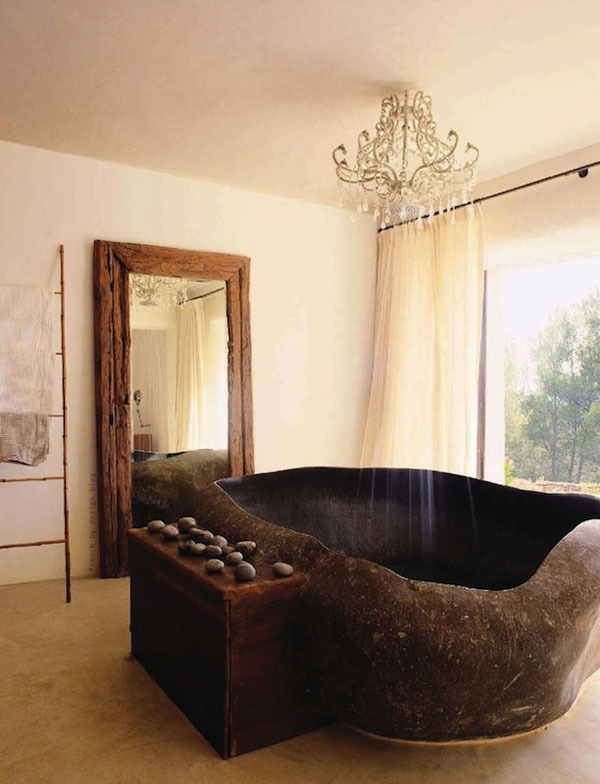 A stone bathtub like the one pictured below will definitely convey all the relaxed feelings into a general sense of well-being. Apparently, a large granite stone from Bali was transformed into this spectacular stone bathtub, having water pipes and fixtures hidden in the wooden chest right next to it. Cleverly hidden in the chandelier above, a shower head rains down water over your tired body while a few scattered pebbles complete the natural look. 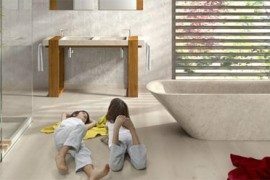 There is another way of incorporating stone pebbles into interior design – if your bathtub and bed share the same space, defining the bath area could mean enjoying the unique, healthy feeling of walking across small stones in the morning. In this Ukrainian apartment designed by , the private zones compose an interesting duet, accentuated by the use of colors, textures and eco-friendly materials seen throughout. Inspiration comes from different areas, so why not take a second and enjoy the fabulous design seen in the Llove Hotel. 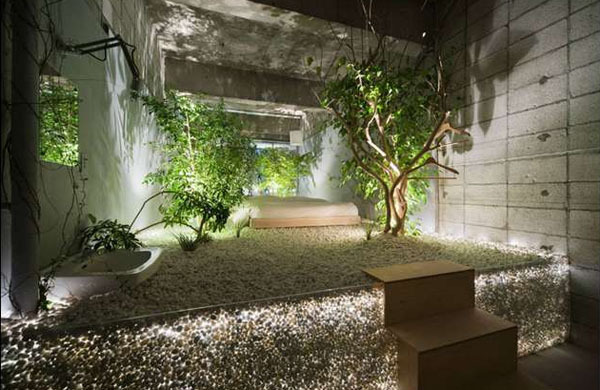 Spotted in room #302 – designed by Yuko Nagayama – a pebble floor next to concrete walls would look hauntingly industrial if it weren’t for the variety of green trees. Natural light rushes through green leaves to touch the white stones lying on the ground while artificial light caresses their natural shapes from inside the raised floor. 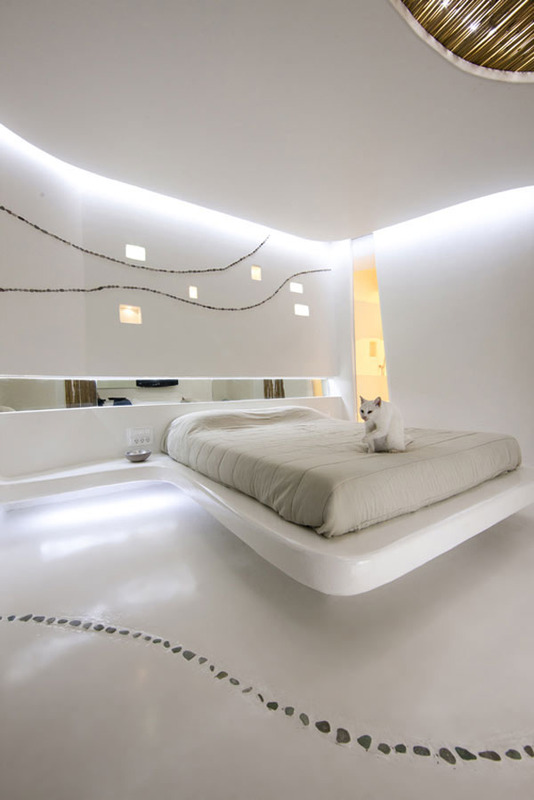 Pebbles shaping lines across the walls and floors is an interesting design idea – check out the Cocoon Suites in Greece, where Cycladic inspiration was combined with contemporary details in a beautiful display of “purity, simplicity, fluidity and surprise“, as KLab Architecture intended. This is not only an awesome idea, but also an easy one to apply, don’t you think? Another version of pebble floors is one in which rustic and modern meet to compose a welcoming space, just like the one pictured below, which was found on . 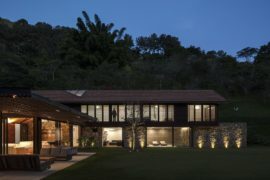 With uneven walls and ceilings, the home of Alexandre de Betak – designed and built by and for himself – is a “modern cave home” inspired by 70s architecture. 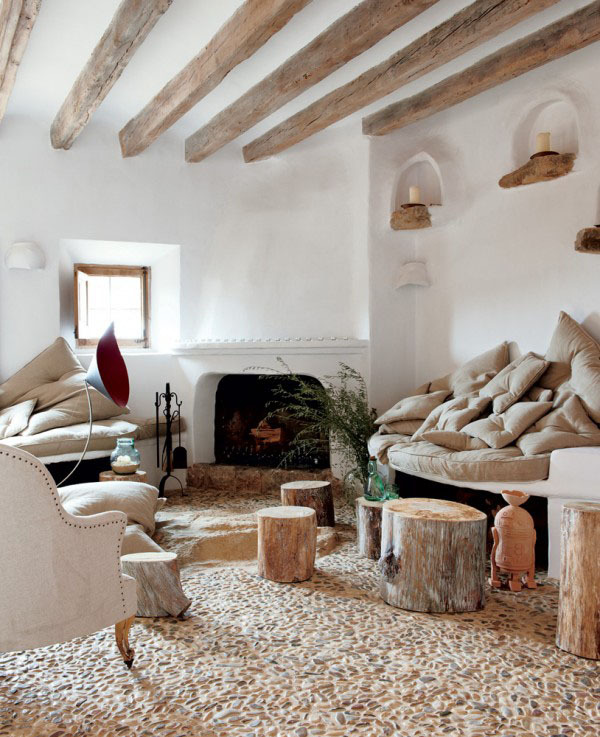 Embedded in the floor underneath the beautiful exposed beams, pebbles shape a rustic appeal accentuated by tree stumps used as chairs and tables and the natural color palette. 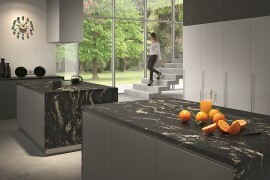 Connecting the outdoors with the indoors, glazed surfaces can also help define a certain visual appeal. 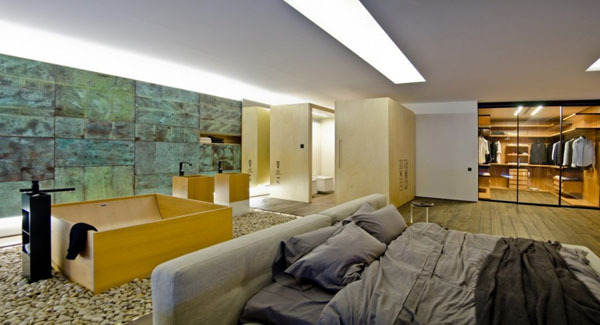 In the case of a basement conversion, natural light is hard to obtain, but creativity and hard work always gets the job done. London-based studio has transformed a dark basement into two separate apartments for singles by excavating until the light of day flooded the interiors. Lining the newly added windows with pebbles was a natural choice in both design and functionality. 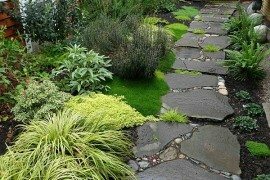 Leaving the outdoors for last was meant to describe an almost natural decision – using stone pebbles to create a certain design in the garden. 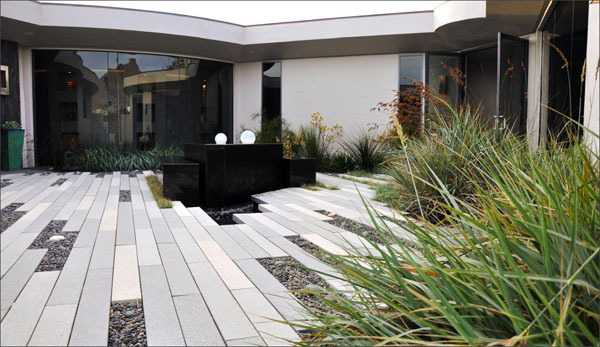 This particular example from shows how intermingling tiles, pebbles and grass can result in a fabulous pathway design. 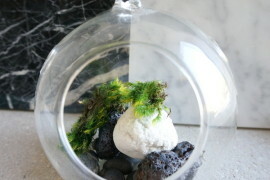 If you had to choose just one idea on how to display pebbles in your home, which one would it be?